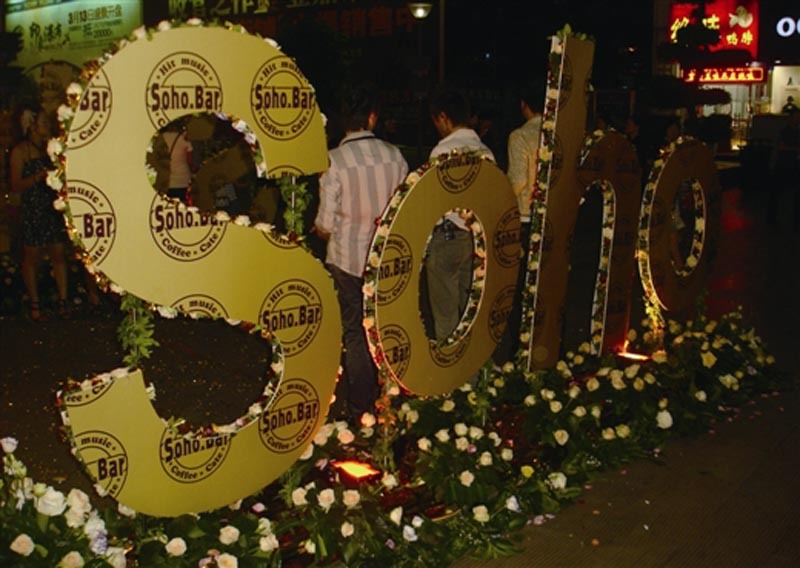 Liuzhou’s Soho bar on the pedestrian street up from McDonald’s is today celebrating its 10th anniversary. They don’t mention the years before that it took to finish building the place. It seems they kept running out of money and all work would stop for months at a time, before starting up again. Over and over. There were rumours that the company’s accountant had run off with the loot. It is astonishing how often that happens in China. The company behind it is Nanning based and the Liuzhou bar was the second they opened. They now operate around 12 in various cities. But it finally opened and rapidly became known as a huge, overpriced, noisy meat market.That was when it was at its best. Thereafter it slid downhill and garnered a reputation as a bit of a sleaze hole. 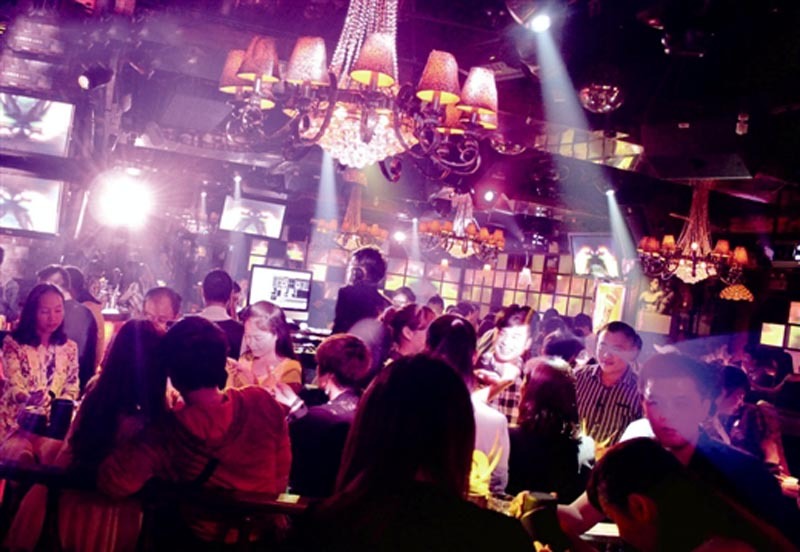 It is, like so many bars in China, more of a disco or club than anything I would call a bar. Loud dance music and drunken, under-aged girls throwing up sums it up. They hold regular ‘special’ nights on festive occasions – Valentine’s Day, New Year, etc and it was the first place I saw the newly invented Single’s Day advertised. They also had a reputation for displaying the worst Christmas tree in town each year, but have improved in that respect recently. Starbucks now hold No 1 position in that respect. All things considered, they have done well. 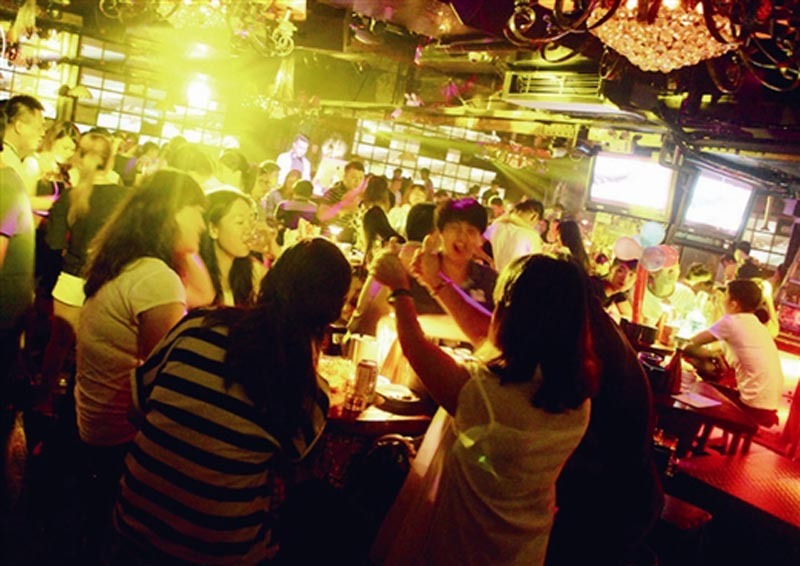 The average lifetime of Liuzhou bars is more like ten months. It isn’t the oldest though. I think that distinction falls to the (much quieter) branch of Time Bar on 北站路. I certainly remember drinking there about 18 years ago.
. This entry was posted on Friday, November 21st, 2014 at 10:17 am	and is filed under Food and Drink, Liuzhou Life. You can follow any responses to this entry through the RSS 2.0 feed. Both comments and pings are currently closed.